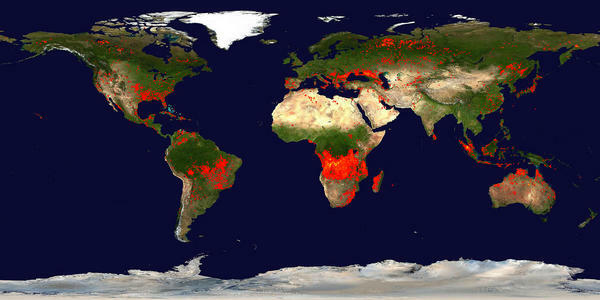 The World is on fire: We see it literally, as fires are raging out of control across the planet. We see it figuratively in Christian slaughter and persecution. I saw a global fire map this week and it shocked me with its imagery. Lest I be duped, I checked it out, and found it to be legitimate. Using the Shemitah Cycle as a guide, let's look at a comparative. Our control will be the image from July 9-18, 2000 which is "before" judgments began. The satellite images detect fire from space, yellow is sustained fires over multiple days. The full impact is appreciated as the pictures are enlarged, which I encourage you to do on the link. We are witnessing a Christian Holocaust and the world is silent. To the faithful church, the Lord writes: 2 Thessalonians 1:5-10 And God will use this persecution to show his justice and to make you worthy of his Kingdom, for which you are suffering. (Then He goes on to give encouragement) In his justice he will pay back those who persecute you. And God will provide rest for you who are being persecuted and also for us when the Lord Jesus appears from heaven. He will come with his mighty angels, in flaming fire, bringing judgment on those who don’t know God and on those who refuse to obey the Good News of our Lord Jesus. They will be punished with eternal destruction, forever separated from the Lord and from his glorious power. When he comes on that day, he will receive glory from his holy people—praise from all who believe. And this includes you, (thus this is a Rapture verse to the church) for you believed what we told you about him. Abigail and Dolley readers as the birth pangs (Matthew 24:8) increase upon the Earth, this Earth is travailing. Even unbelievers know that fire is used by God as judgement, we know this in our hearts because God wrote it on our conscience. I had a conversation with a good friend yesterday who said that even he, who is a skeptic about Bible Prophecy sees that we are living in dark times. I questioned him, "Why are you a skeptic? Prophecy is the absolute undeniable proof that Scriptures are real, inspired, and trust worthy." Alas, there in lies the rub. Prophecy forces the issue of Biblical inerrancy. 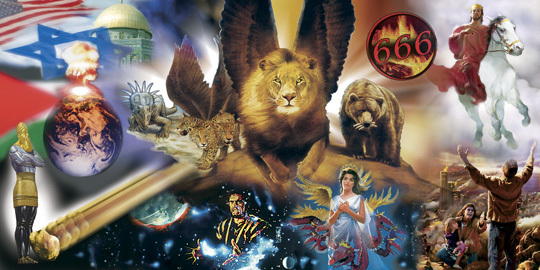 You don't even have to be an End Times prophecy scholar, there is PLENTY of fulfilled prophecy in the Bible. About 2500 prophecies are recorded in Scripture, of which 2000 have come to pass without error (source). Of the Messianic prophecies, there are over 300 Old Testament prophecies that Jesus Christ fulfilled in his birth, life, death, and resurrection. The odds of any man fulfilling just 8 of these was 10 to the 17th power. Thus, more than any book ever produced the Bible is the only text that has been completely accurate in every prophetic line. These are not vague passages that can be interpreted in a number of ways like the so called prophecies of Nostradamus - the Bible holds day specific prophecies that have come true. As a result, they are like wind swept waves (Ephesians 4:14) - thrown around by every wave of doctrine that passes as new biblical truth. They have no foundation for interpreting world events, no way of judging where we are or who is teaching them (Matthew 24:11). They rely on their opinions and feelings to tell them what is right and what is wrong (Proverbs 28:26). They rationalize sin. The Bible calls them carnal Christians (1 Corinthians 2:14). Settle your mind Friend, the ONE source of truth, the ONE source of life (John 14:6), and the ONE source to tell you where we are going is the Holy Scriptures (Matthew 5:18, 2 Timothy 3:16). Don't be proud (James 4:6), don't think too highly of yourself (Isaiah 5:21), you are not the arbiter of truth and you know if (Romans 3:4). 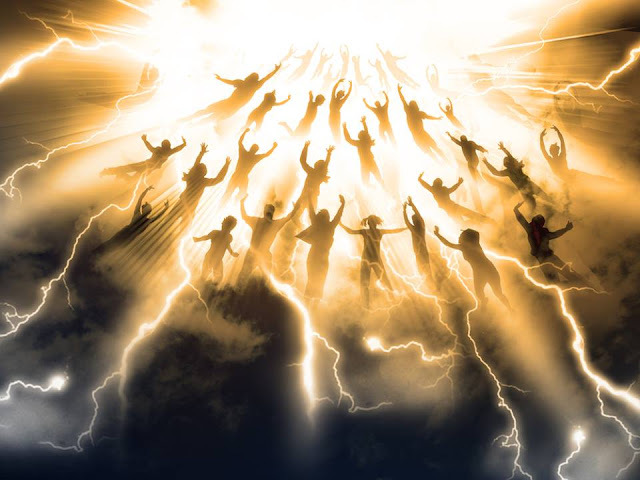 1 Thessalonians 4:16-17 because the Lord himself, in a shout, in the voice of a chief-messenger, and in the trump of God, shall come down from heaven, and the dead in Christ shall rise first, then we who are living, who are remaining over, together with them shall be caught away in clouds to meet the Lord in air, and so always with the Lord we shall be. 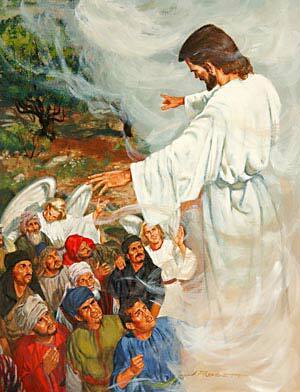 Basics - if you are dead, you are raised first and then those who are alive will go to meet the Lord in the air. The above says that the dead in Christ are raised and those that are alive shall not die. Abigail and Dolley readers at some point in the future, all of the Jews will return to Israel; the Lord Himself will gather them back after the mighty miracle of Ezekiel 38/39. They call it Aliyah and the Jerusalem Post has a special section completely dedicated to it. This begun in the 1880's and continues today in accordance with Isaiah 11:11-12. And in that day the Lord shall again lift up His hand a second time to recover (acquire and deliver) the remnant of His people which is left, from Assyria, from Lower Egypt, from Pathros, from Ethiopia, from Elam [in Persia], from Shinar [Babylonia], from Hamath [in Upper Syria], and from the countries bordering on the [Mediterranean] Sea. And He will raise up a signal for the nations and will assemble the outcasts of Israel and will gather together the dispersed of Judah from the four corners of the earth. Note that the Scripture says that He will regather them a second time, the first being after their 70 year captivity in Babylon. Many will say, "Yes, but the Northern Kingdom was lost 200 years before so the first regathering was of the Southern Kingdom." Is this an accurate statement? Are there really Lost Tribes of Israel? 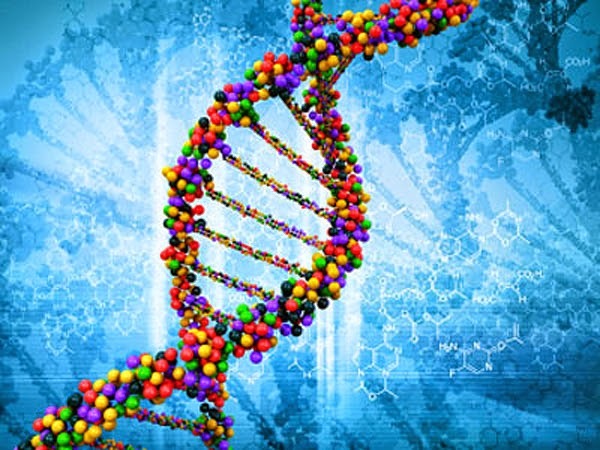 In the last 15 years, the scientific advances in DNA testing and gene mapping have produced startling findings among scattered populations. Some tests seems to suggest that an ancient line of Aaron has been found in India and testing of rabbis worldwide seem to all have the same unique genetic markers. An aggressive form of breast cancer has revealed hidden Jews in New Mexico who fled the Catholic Church's Spanish Inquisition. You Are Not on the Fringe Anymore - Update Your Websites People! Research... I do a ton of it. I rabbit trail around constantly and love learning from people who have dedicated their lives to certain areas of ministry. Up until now these folks were somewhat on the fringe of popular Christianity and by that I mean that they actually take the Bible literally and are not afraid of the Supernatural. They delve into areas that Sunday Morning Daily Walk Pastors are not going to touch with a 10 foot pole, to the detriment of their ministry and congregation. UFO sightings - what are all these things that people are seeing and experiencing? What Christians need to know about this subject and how do we answer the world's questions? 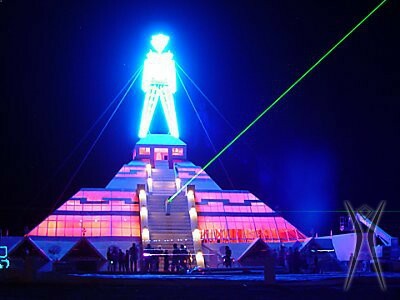 New World Order - is there really anything to these secret societies? Should we take this seriously are should we all put on our tin foil hats? 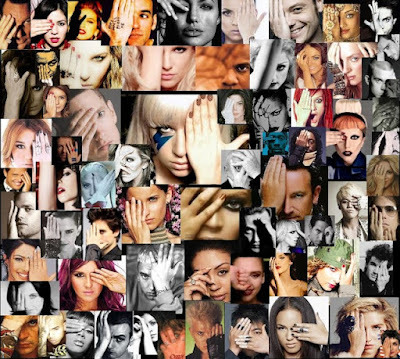 Symbolism - what's with the "one eye" pictures and pyramids every where and how do these things trace back to the Bible? Spiritual Warfare - are there really demons and fallen angels? What can they do to Christians? How are we supposed to fight them? 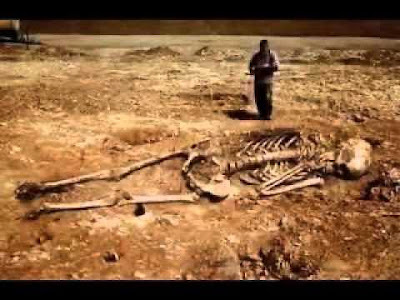 Prophecy - what does the Bible tell us is coming? 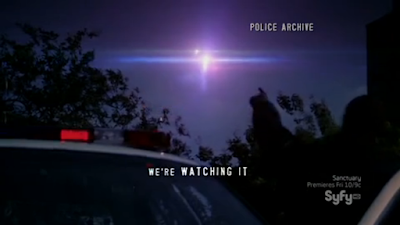 Do we understand the timing of the events? Why do Christians need to study this subject? These are all serious and important topics, sadly many incredible teachers on these subjects built their websites in 1998 and have not updated them since. The sites are cluttered, outdated, full of hundreds of links, with zero graphics and snippets of articles. Worse, they post videos of radio interviews that are THREE hours long. It's okay to do these interviews but the average Joe that is interested in something you have to say will not listen to a piece this long. Finally, because we have not updated our material to be used and read by the average consumer the enemy continues to make progress toward his end goal. The Lord says, "My people perish for lack of knowledge." (Hosea 4:6) So this is serious folks - I love writing and producing too, I love witnessing and speaking to people but it is equally important to make all this material available in bite size pieces, in an attractive format, that draws people in. Abigail and Dolley readers in 2014, I heard Russ Dizdar speak about his experiences as a police chaplain and the manifestations of evil in law enforcement. There are truly devious people operating in our society today and from a spiritual perspective we know that the unseen is greater than the seen (Ephesians 6:11-12). I wrote The Occult in Plain Site shortly afterwards. 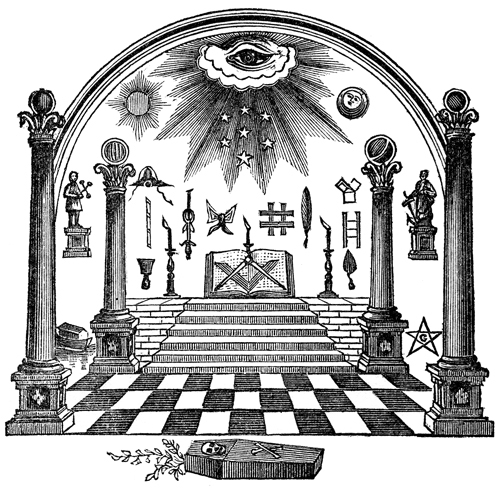 Thus for a year, I've been looking into various secret societies, fraternities, and the like. I typically do not blog about this subject because the field is deep with better sources than me. Unfortunately though once you put on these glasses and see what is right in front of you, you can't take them off (Deuteronomy 29:29). Sometimes, like in the case of the Super Bowl Half Time show this year, even the uninitiated say, "What the heck is that?" God does not operate in secret (Isaiah 45:19), so neither can the enemy. I heard Rob Skiba surmise that it is a spiritual law; that the enemy also has to reveal his plans. He's not going to plop down with horns and a tail and tell Mary Soccer Mom what he's planning. So it stands to reason that the devil complies through signs and symbols in music, TV, movies, and video games. To the world, these things have a bright and innocent face but there is a hidden darker side. If you are unfamiliar with these signs, I'd implore you to look a little deeper. I'd suggest The Fuel Project's "Know Your Enemy" which is a series of short videos that takes you from Eden to Present Day. You can also noodle around Youtube and check out FaceLikeTheSun, White Rabbit, Vigilant Christian, and many more. …but some doubted. Three little words that stand out to me like a piece of pepper stuck in someone’s tooth. The phrase is in Matthew 28:17, When they saw him, they worshiped him; but some doubted. Let’s put this in context. It is the last chapter of Matthew after the disciples had witnessed Jesus’ life, miracles, ministry, death and resurrection. 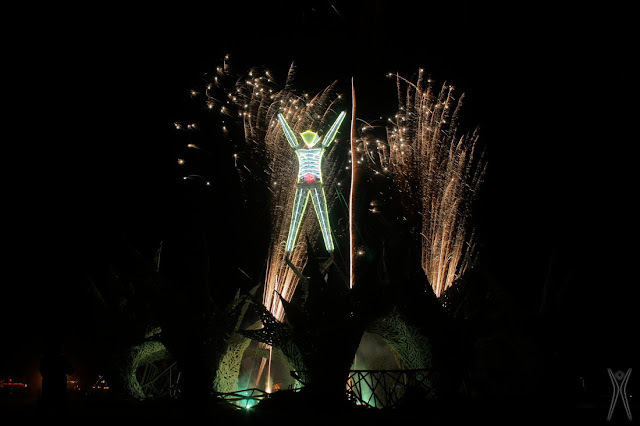 There, a resurrected Jesus stands before them and when the SAW him they worshiped him, but some still doubted. What does that passage tell us about human nature? It tells us many things, mainly that in spite of seeing all of the great events in Jesus’ life, the disciples still doubted. Why do you think that is? I think it is because they did not at that time have the Holy Spirit within them. Now it would be easy to stand in judgment of the disciples at this point. After all they were THERE. They saw him, they touched him, they ate with him and saw him die and rise again. Surely, had we been in their shoes we would not have doubted. I would not be so certain myself. How many people do you know of that have had awesome miracles in their lives that they KNEW were from God, only to claim after the excitement wears off that it was just fate or circumstance or the wisdom of the doctors that saved them. How many times in your own life has the Lord delivered you and afterward you doubted that it was His divine intervention? 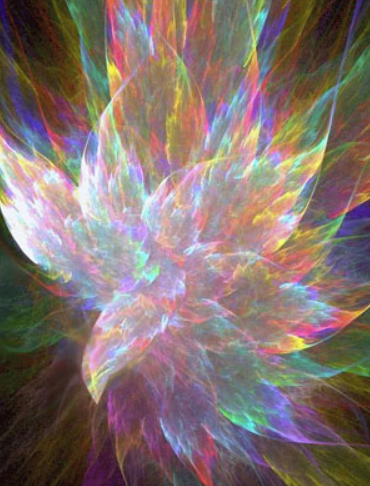 The Holy Spirit is what divides the New Testament Christians from the Old Testament Jews. Through the shed blood of Jesus Christ we are able to have the Spirit of God inside us at all times. During the Old Testament times the Spirit of the Lord would come upon people for a period, but that was temporary and He did not indwell the believer. That is the only thing that sets us apart. That is why those who profess faith in Christ but have never asked Him into their lives struggle. The ministry of the Holy Spirit is one of the most under appreciated movements in our modern day churches. Without the Holy Spirit we do not even have faith in the things we can see and touch. That is why people can go to church their whole lives and know in their mind who Jesus is but never make the commitment to let Him into their hearts. I think that is why so many professing Christians do not bear any fruit. Who are they? Are you one? Is the person sitting next to you in church one? They are Christians in name only. They come as far as they can in the Christian walk without asking the Holy Spirit to come into their lives. They have accepted the kernel of doubt in their own hearts as part of everyone’s faith. They do not believe when others profess to not have any doubts about their faith, because they themselves do not know the truth. You can go to many churches and never hear a word about the Holy Spirit. The Holy Spirit within us is the perfecter of our faith. He convicts our conscience. He is the guiding force that keeps all of us in line and living for God and not ourselves. Only through the Holy Spirit are we able to have communion with God and worship Jesus our Savior. So if you have doubts, in spite of knowing the truth, ask the Father to send the Holy Spirit to you. Ask Jesus into your heart and welcome the Holy Spirit. Do not be one who knows the truth and does not act upon it. Our very popular Blood Moons and More post has me on the look out for other pivotal events that will occur during this time. I stumbled across this material today which proves paganism is alive and well. 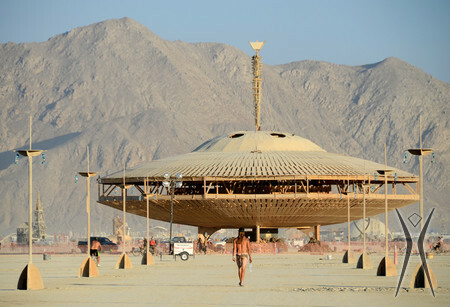 Kicking off the pivotal September 2015, we find the Burning Man Festival, an annual event that is held on U.S. government land in northern Nevada’s remote Black Rock desert. Folks, there is nothing new under the sun (Ecclesiastes 1:9). The enemy comes as an angel of light (2 Corinthians 11:14). The first rule of symbolism is that there is always a double meaning, the light side given to the public and then the deeper darker meaning for the initiated. 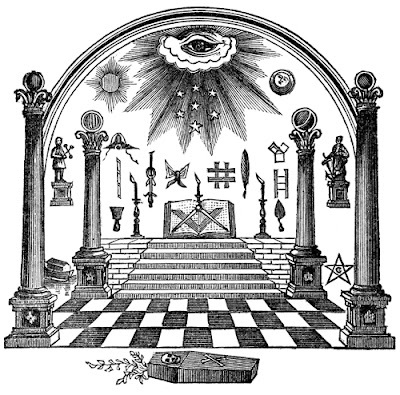 Symbols are ways of communicating under the radar.